As artists, it's essential to fill ourselves regularly with inspiration and insight. These books have inspired and comforted me when I've needed it most. I hope you'll find something here that touches you in the same way. I've also included a list of the tools I use right now. I strongly believe the photographer makes the photographs, not the gear - but good tools are a joy to use. I'm happy to recommend my tools of choice, so you can refine and simplify your research. I don't receive any sort of commission for these recommendations. I only recommend items I truly adore. Enjoy! This is an iconic, beautiful little tome. Adams writes about the creative process with incredible depth, clarity, and compassion. Included are a number of pithy profiles of his favorite photographers, so it's also a lovely primer on some of the great artists of the last century. This book is a continual source of inspiration and I recommend it to all my students. Another thoughtful, wonderful book by the inimitable Robert Adams. The title essay is one of my favorites. He writes about how visual form is beautiful because it gives us the sense that life is more than chaos and meaningless suffering. He defends (and celebrates) beauty as a noble creative goal - and I love him for it. My favorite quote from the book: “The job of the photographer...is not to catalogue indisputable fact but to try to be coherent about intuition and hope.” Yes. This book is a new favorite. Lisa Congdon is a fabulous painter who didn't start her creative career until later in life. This lovely tome includes empowering interviews, profiles, and essays about women who have blossomed as artists, thought leaders, and entrepreneurs after 40. It's a quick read, but I know I'll go back to it often. It would also make a sweet gift. This is a gem of a book, for those interested in a Buddhist approach to the creative practice. I love Loori Roshi's wise, humble philosophy. The book includes creative exercises based on core mindfulness techniques. It's also beautifully illustrated with zen calligraphy. I treasure my copy. A witty, straight-to-the-point book about photography practice, education, criticism, and culture. This book is a fantastic counterpoint to all the stuffy, tedious writing about photography. One of my favorite quotes from the book: "Photography is not an intellectual game, but an emotional response to charged living." Yes! 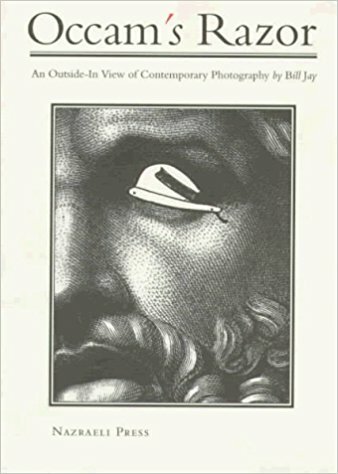 Another marvelous book about photography by Bill Jay. Evidence of his lovely sense of humor - he arrived at the title by dictating the working title "Something Photographic" to his computer. The software translated it to "Sun in the Blood of the Cat" and he embraced it! He writes about MFA programs, photo criticism, fame - all the good stuff. And, it's laugh-out-loud funny. I adore this man. Cartier-Bresson was one of the first photographers I fell in love with when I was a young artist. He coined the term "decisive moment" to describe that instant when visual elements align to create a masterful image. It wouldn't be a stretch to call Cartier-Bresson the greatest street photographer of all time. He was a wonderful philosopher, too - and this is a rich, gratifying collection of essays. Written in the early years of the 20th century, this book is a tender, encouraging set of letters to an aspiring poet who requested Rilke's advice. Rilke's thoughts on passion, dedication, and making the creative practice personal are powerfully relevant for photographers, as well. One of my favorite quotes from the book: "Be patient toward all that is unsolved in your heart and try to love the questions themselves...live the questions." This is such an enjoyable, inspirational read. Gilbert's advice is empowering, actionable, warm, and down to earth. She talks about courage, persistence, and how to trust the creative process. My favorite quote from the book: "Stop treating your creativity like it's a tired old, unhappy marriage...and start regarding it with the fresh eyes of a passionate lover." Say it, sister! I always think poets have a great deal of insight when it comes to the creative process. 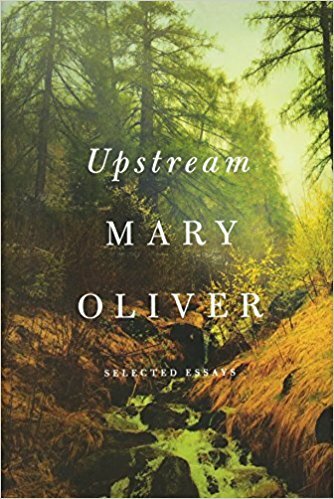 Mary Oliver is one of my very favorites, and this collection of essays is a joy. One of my favorite quotes from the book: "Attention is the beginning of devotion." It makes me think about how we can use our photography to deeply see and honor our subjects - instead of just scratching the surface. There are so many gems in these pages - my book is dog-eared to within an inch of its life. On the surface, this is a book about writing - but the ideas translate brilliantly to the world of visual art. Really, it's a beautiful, poetic meditation on living the artistic life. Dillard talks about cultivating inspiration, making tough creative choices, producing work you're proud of, creative confidence, and so much more. This is a book you could read once a year and really benefit from each time. This camera is my baby. It shoots square format on 120mm roll film. The camera itself is a work of art - and the optics are top-notch. It has a waist-level viewfinder, so you compose while looking down into the camera. It's a less intrusive way to shoot and it's super enjoyable to frame up your scenes on the big ground glass. Using this camera will slow you down and make you more discerning - which is a nice counterpoint to the "spray and pray" mentality digital shooting can encourage. Look for this camera on eBay. My preferred black and white film. HP5 has a luscious tonal range, rich blacks, and great contrast. It's also fairly fine grained for a 400 speed film. I've been shooting with this for twenty five years and it's served me well. Ilford's Delta 100 is my go-to for a slower, finer grain film - but in rainy Oregon I use the HP5 most often. All the images in my Atlas of Remote Islands series were shot with this film. Special note: this is medium format film suitable for a camera like the Rollei, above. My color film of choice. It's fine grained, and the colors are rich without being oversaturated like Velvia or greenish like Portra. This is a daylight balanced film, so it's for use with natural light. All the color images in my portfolios Touching the Earth, A Tender Ecology, and The Family Home were shot with this film. Special note: this is medium format film suitable for a camera like the Rollei, above. This is a stunning paper for digital printing. Oh my, I love it. It gives you incredible detail in the shadow areas. It's a matte paper with a subtle texture - and it has a high-quality feel about it. I'm printing all my new work on this paper. This paper is gorgeous. It's an inkjet paper with the feel of a fiber-based darkroom print, so I've always been especially enamored with it. It's slightly textured with a luster finish. I printed my series The Family Home on this paper. This is the printer I use. It's a beast of a machine but it makes detailed, rich, sumptuous prints. It's important to note that it costs about $500 to fill with ink. It's only worth the investment if you plan to do a lot of printing (much more economical than paying for custom printing, in the long run). Epson also makes a 13" version. Ink for the 13" costs more per milliliter, but you can get an ink set for about $300. This is what I use to scan all my negatives and prints. I've spent many hours communing with this baby - listening to podcasts while it whirrs away, turning my negatives into high-resolution files. It's possible to spend a ridiculous amount of money on a scanner (Hasselblad sells one for $25K), but the Epson gets the job done for a reasonable investment. I use the ColorMunki to calibrate my monitor, so my printing workflow is as streamlined as possible. It's essential to have some kind of color calibration tool or your prints will look wildly different from the images on your monitor. I wasted a lot of paper and ink before I bought this nifty gadget. It's fairly easy to set up and it also profiles projectors. Check to make sure it's compatible with your computer before buying.